Aug 14, 2015 (LBO) – Sri Lanka’s Free Trade Zones and General Services Employees Union has called on apparel exporters to protect labor rights to regain the tax concessions under GSP Plus. The union has recalled a meeting held recently with the Prime Minister where apparel exporters agreed to raise wages in order to regain GSP Plus. “It is not possible to get GSP+ back without respecting the human rights of employees,” the union stressed. The ILO convention 87 deals with the freedom of association and protection of the right to organize where as convention 98 deals with the application of the principles of the right to organize and to bargain collectively. 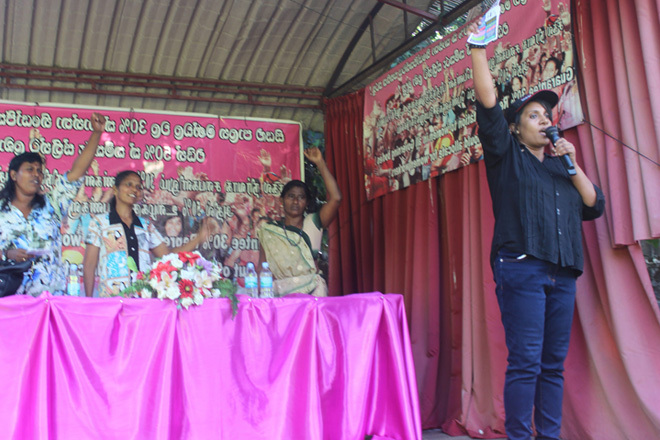 As per the fundamental rights of the Sri Lanka’s constitution, citizens are entitled to the freedom to form and join a trade union. However tight labor legislations are often criticized as a factor for unemployment in developing market economies. In the 1990s economists made an argument for liberalizing labor laws as part of a strategy for enhancing labor market flexibility, thereby boosting job creation. Conversely, some studies have suggested that labor laws have positive effects on productivity and innovation rather than negative effects. “Even though we highlighted labor rights and bad service conditions as one factor behind the removal of GSP+ in 2011, the former government did not accept it,” the union further said. Last year alone, there were a number of incidents reported in relation to food poisoning of garment workers who suffered from nausea, stomach ache, and headache and a majority of those being young females. Around 80 percent of all garment workers are young females. The Free Trade Zones and General Services Employees Union is to hold a national conference of employees with the participation of government and exporters with a view to get GSP Plus back.